In this podcast episode we’ve mashed together the audio from 3 videos that absolutely crushed on YouTube. If my content motivates one person to make a change or follow pursue their passion or whatever it is that you need, I’m extremely happy. Pay close attention to the themes focussed on during this 19 minute motivational mashup. :43 - You have to audit who you are 6:35 - Don’t let other people’s opinion dictate your life 10:03 - Execution takes time Please please please share your feedback ... See More with us. 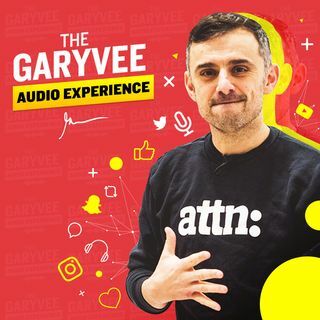 Tweet me @GaryVee if you have any suggestions on how to make our audio experience better.